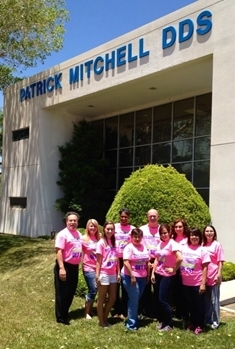 Our Westside and Northeast El Paso dental hygienists, dental assistants, and administrative team are all highly trained and accomplished in providing an exceptional dental experience. Our dental hygienists and assistants are outstanding communicators and are very knowledgeable on the various aspects of general and cosmetic dentistry. In addition, our administrative team will help you schedule appointments and make financial arrangements. While each member is highly trained, we didn't just simply bring them on board for their knowledge and skill in dentistry. It was important to find team members who are happy, friendly, and outgoing so your visit is as easy and comfortable as possible. As a team, we are committed to providing you with excellent service. Our upbeat team will do our best to make your visit comfortable and fun. We extend the highest quality of dental care, and we hope you enjoy your visit at Affiliated Dental Care in Northeast El Paso! I just love Dr. Mitchell. Great personality, thorough, and gentle. The staff their is very friendly and explain everything being done, cost, etc. I was pretty nervous having my first wisdom tooth removed at age 47, but Dr Mitchells staff was super sweet, he explained what was going to happen and after the anesthetic, the extraction took about 10 seconds. Wow, 0 pain equals a 10 out of 10 for me.